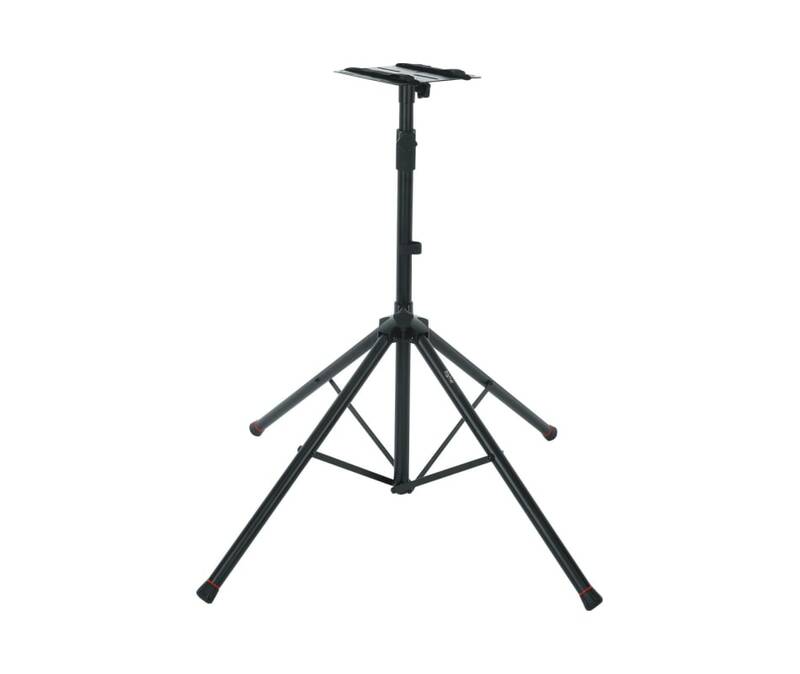 Frameworks moving head light standard quad stand - 250 class. Elevates smaller class moving head lights. Great for fixtures up to the 250 classPlatform designed with mounting holes and hook and loop straps to secure lighting fixture. Four legs provide more support and stability than a traditional tripod style. Min/Max height: 40.5/72 inchesComfortable twist knob to securely lock in height adjustments. Red, removable safety trim on feet. Heavy-duty steel construction with black powder coated finish. Comes in retail friendly packaging.